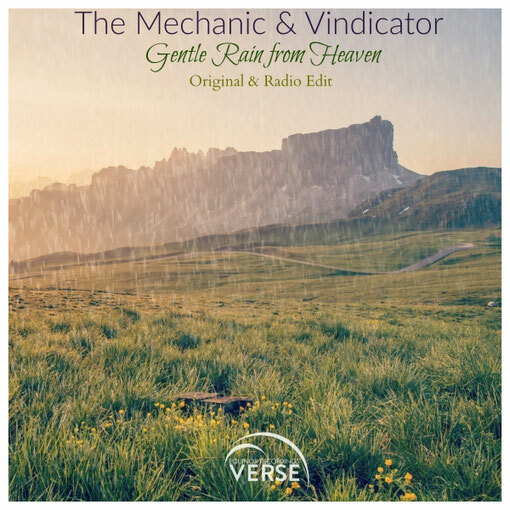 VERSE is very pleased to bring to you Gentle Rain From Heaven a truly beautiful and emotional release from Hungarian duo The Mechanic & Vindicator. At 138 BPM this has a great driving intro with plenty of energy, magnificent break with heavenly strings and wonderful piano the notes of which even sound like gentle drops of rain. You could imagine them fallimg from the sky and the fragrant scent of wet grassland rising from the green and fertile earth . This is a truly beautiful euphoric track that just soars with emotion and at nearly 9 mins long it is definitely of the VERSE ‘proper long track with decent break’ genre that we love so much. For this release we have also included a radio edit . We really hope this release will bring a little drop of heaven into your day and that you will enjoy it and continue to give us your much appreciate support .